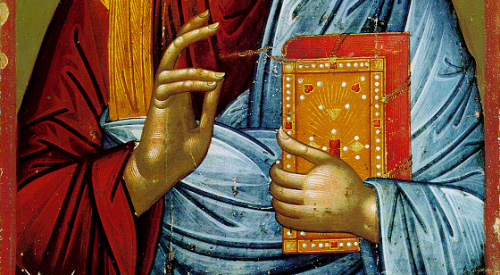 Theophany (or Epiphany) means shining forth or manifestation. The feast is often called, as it is in the Orthodox service books, Theophany, which means the shining forth and manifestation of God. The emphasis in the present day celebration is on the appearance of Jesus as the human Messiah of Israel and the divine Son of God, One of the Holy Trinity with the Father and the Holy Spirit. Read the entire article on the Orthodox Church of America website. 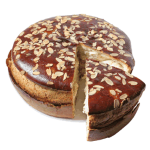 We will cut the Vassilopita (St. Basil’s bread) on Sunday January 3 following the Divine Liturgy. On January 5 at 9am we will read the Royal Hours. This is a service of prayer and Psalms, solemnly done and lasting about an hour or so. This is a good service for those seeking deeper encounter with God and pepares us for the Divine Liturgy of Theophany later in the day. 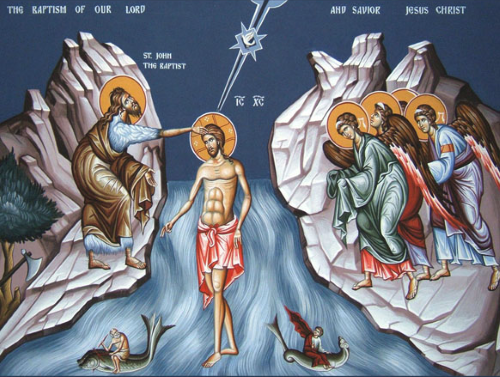 On January 5 at 6pm we will hold the Divine Liturgy of Theophany followed by the Great Blessing of the Waters. The actual day of Theophany is January 6 but because most people will be at work, Met. Joseph has authorized the celebration of the Feast Day on the Eve of the Feast. After this class Orthodoxy 101 is complete. Read Chapters 17-Conclusion, Pages 239-277 to prepare for class. Unto Thee will I cry, O Lord my God. Timothy, my son, always be steady, endure suffering, do the work of an evangelist, fulfill your ministry. For I am already on the point of being sacrificed; the time of my departure has come. I have fought the good fight, I have finished the race, and I have kept the faith. Henceforth there is laid up for me the crown of righteousness, which the Lord, the righteous judge, will award to me on that Day, and not only to me but also to all who have loved His appearing.